Director Barry Jenkins was "speechless" after his movie "Moonlight" was announced as the winner of best picture on Sunday night, following an unprecedented moment in Oscars history. Only moments earlier the presenters of the award had announced that the winners were La La Land. 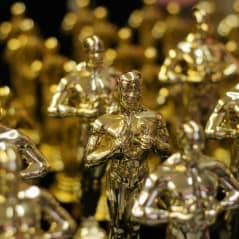 The La La Land crew took to the stage but before they could finish their winners’ speech, one of the Oscars producers appeared on stage to say there had been a mistake and in fact Moonlight had won the award. PwC, the accounting firm in charge of the vote counting, has since issued an apology and has vowed to investigate the error that lead to La La Land being awarded in mistake. “We sincerely apologise to Moonlight, La La Land, Warren Beatty, Faye Dunaway, and Oscar viewers for the error that was made during the award announcement for best picture,” PwC said in a statement. The investigation is expected to centre on the process of how the winner envelopes are handed out on the evening and on the responsibilities of the PwC managers in charge. They will be relying on their internal investigation procedures and policies to ensure a fair, objective and full investigation is carried out. Whilst this very public fiasco in the glittering entertainment world seems far removed from the day to day running of small to medium sized organisations, it serves as a reminder on the importance of having policies and procedures in place for dealing with mistakes and performance issues when they arise. All UK employers should have written disciplinary rules and procedures to use in cases of poor performance, misconduct and gross misconduct. It is important all employees have access to these and managers are trained in how to use these policies. If your company has a contractual disciplinary policy but does not follow it, you will be in breach of contract. Furthermore, in unfair dismissal claims, employment tribunals take the ‘ACAS code of practice on disciplinary and grievance procedures’ into account and may increase a compensation award by up to 25% if an employer has not followed this code of conduct. Your Disciplinary Policy should cover off areas such as the disciplinary procedure – the various stages of disciplinary investigations, when the employer has the right to suspend an employee, the right to be accompanied and the appeal process. It is also useful to include examples of misconduct and gross misconduct. Common mistakes employers make in this area are not warning the employee of the potential consequences of the disciplinary investigation and not spelling out the allegations the investigation will be examining. Remember it is best if a different person chairs the different stages of a disciplinary process to ensure the process is as objective as possible.